If the Link LED on the Wireless Range Expander lights up red, this indicates that there is no wireless connection between the Linksys Wireless Range Expander and the Wireless Router or Access Point. To fix this, you must be using the latest firmware for your router or access point. NOTE: Make sure the wireless router or access point is already properly configured and there should be active wireless connection to all wireless computers/clients. 1. 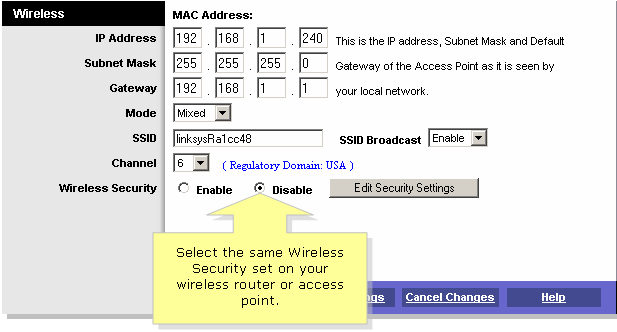 To check the firmware version on a Linksys wireless router or access point, click here. 3. Select your model number and click on "Get Downloads"
6. Under Downloads & Drivers you should see the latest firmware for your product, download it to your desktop if it's newer then what your router has. 7. To update your router's firmware, click here. To update your access point's firmware, click here. 8. The WRE54G and the wireless router or access point needs to have the same wireless settings in order for them to connect. a. To get the current wireless settings of your wireless router, click here. NOTE: If you are using a non-Linksys wireless router or access point, contact the manufacturer to get the wireless settings. 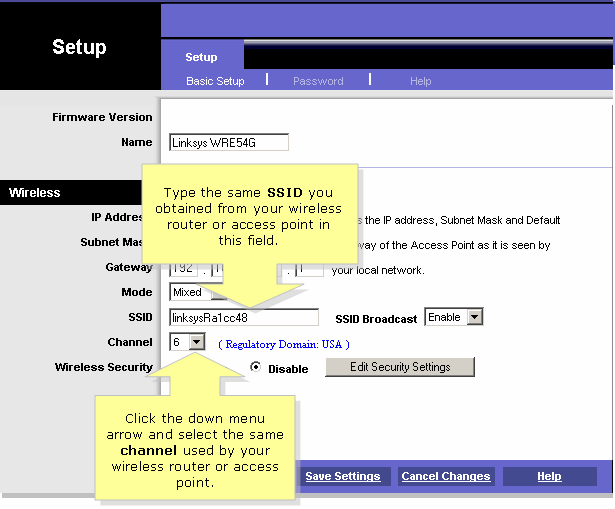 When the range expander’s web-based setup page opens, enter the current wireless settings of your wireless router or access point such as SSID (Wireless Network Name), Channel, and Wireless Security. Look for Wireless Security and select Enable and then click Edit Security Settings. 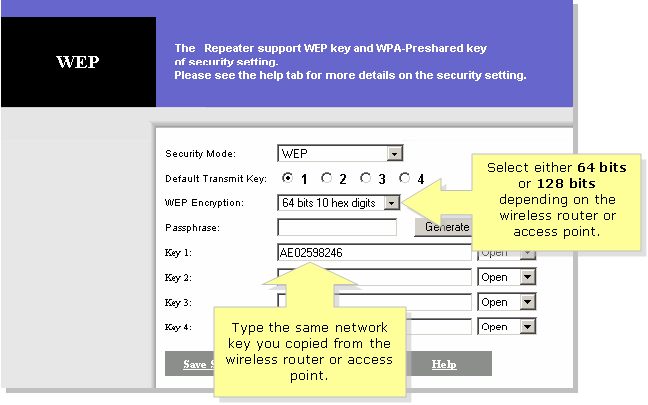 Under Security Mode, select the same wireless security, either WEP or WPA, set on your wireless router or access point. 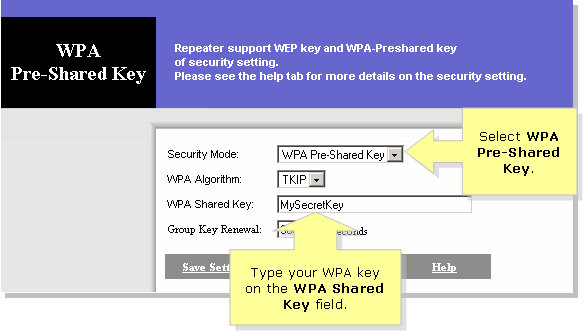 If WEP Encryption is enabled on the wireless router or access point, select either 64-bit or 128-bit and type the same key you obtained from the router. Then click on the setup screen.